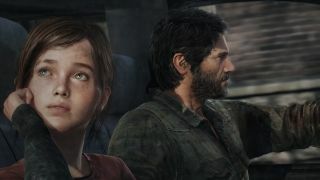 PlayStation has its fair share of iconic heroes - Lara Croft, Nathan Drake, Kratos to name but a few - but it has also served up plenty of dynamic duos. Here, we embrace the double trouble and pick out the best double acts to appear on Sony's console. Probably the second most iconic PlayStation pairing ever, even if the oft-mute elf and his irritating ottsel companion peaked with the PS2. Naughty Dog may have subsequently moved onto dreamier/more apocalyptic adventures, but for a time, Jak and Daxter damn near single-handedly revitalised 3D platformers. He ain’t heavy he’s my... well, you know the rest. The siblings in Starbreeze’s enchanting adventure really do make a wonderfully harmonious double act. The older Naia helps his little bro to swim, while Naiee can squeeze through tight gaps to solve puzzles. Who says brotherly love is all wedgies and purple nurples? The space rodent and his gentlemanly metallic mate enjoy quite the enduring bionic bromance. This lombax engineer and the teeny droid have saved the galaxy half a dozen times, mainly thanks to their splendid teamwork. PlayStation double acts don’t come more iconic... or adorable. The most darling robotic pairing this side of those cutesy UFO thingies in Batteries Not Included. Atlas (the short, stout one), and P-body (the lanky ‘un) were built by Portal’s fiendish GLaDOS as part of the AI’s plan to phase out human testing in the Aperture Science labs. Their bot bungling in Portal 2’s co-op mode is heart-melting. PlayStation was never graced by the presence of a certain honey bear and breegull duo, but at least we get this recent Rare-aping chameleon/bat double act. Playtonic’s 3D platformer isn’t as beloved as Banjo and Kazooie, although the pair’s range of slick double team manoeuvres easily outdoes that of the N64 buddies. The most beautifully written PlayStation relationship ever, and hands-down our favourite double act of the last decade. Grizzled gun runner Joel and teenage asskicker Ellie complement each other perfectly; her optimism is the ideal antidote for Joel’s downbeat angst. Naughty Dog is really good at this whole double-act thing. Raccoon City cop Leon S. Kennedy may endure the first day from hell, but at least he doesn’t have to deal with zombie armageddon on his lonesome, as when Chris Redfield’s sister Claire joins the rookie they make quite the undead-annihilating, T-Virus team. Unlikely allegiances are the best. Whether it’s Arnie and DeVito in Twins or a pair of mercs putting their differences aside to find the Tusk Of Ganesh, we’re big fans of begrudging buddies. Chloe Fraser and Nadine Ross may have questionable morals, but they’re sure to be a superb quip-cracking pairing in Naughty Dog’s upcoming expansion. But will this team stay together?